The only up side to my current employment is that it is supplying me with an income, which is allowing me to spend money on things I would abstain from if I were still unemployed. You might remember that earlier this year I got one of my better photos printed as a gift to a friend. This month I had another one printed, and it became a Christmas gift for another friend of mine. Below is an image of the print sitting in the living room of the house I’m currently living in. 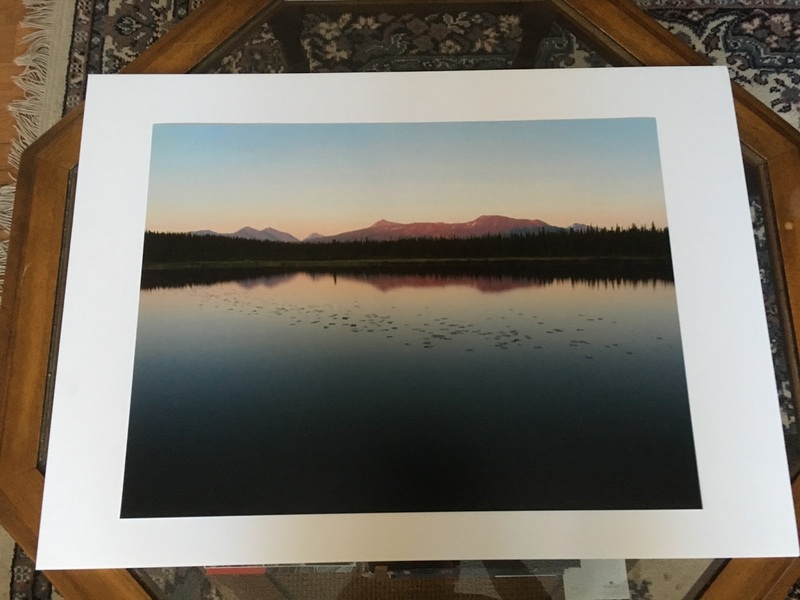 This particular print is of a photo I took in June 2015 at Lake Tonglen in Alaska, which is near Denali. At that time of year there is 24-hour sunlight up in Alaska, but around the end of the day they get what can be thought of as an extended sunset, where the sun gets low in the sky, but never fully goes down. Normally you only get a few minutes of a sunset’s most brilliant colors, but in Alaska around the time of the summer solstice the pinks, purples, and reds last a lot longer. This was one of the best photos I took on that trip, and I’m pleased to see it turned out so well. One of these days I ought to see about getting some of my work featured somewhere.